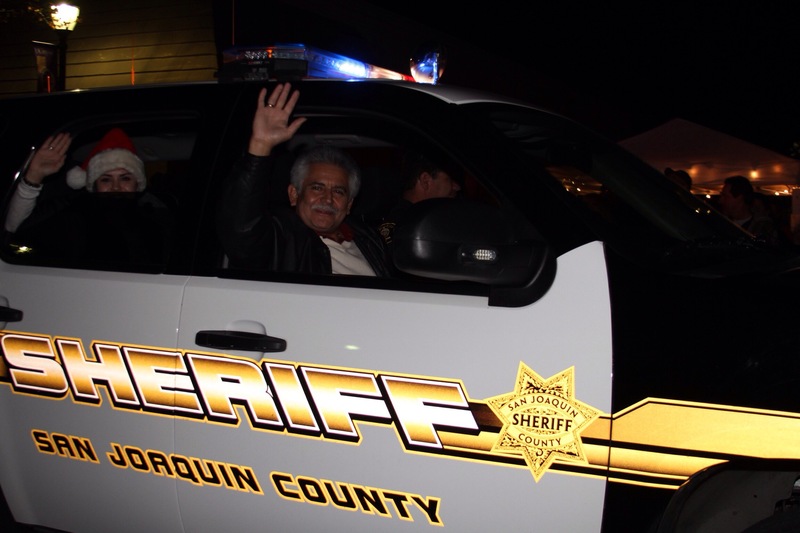 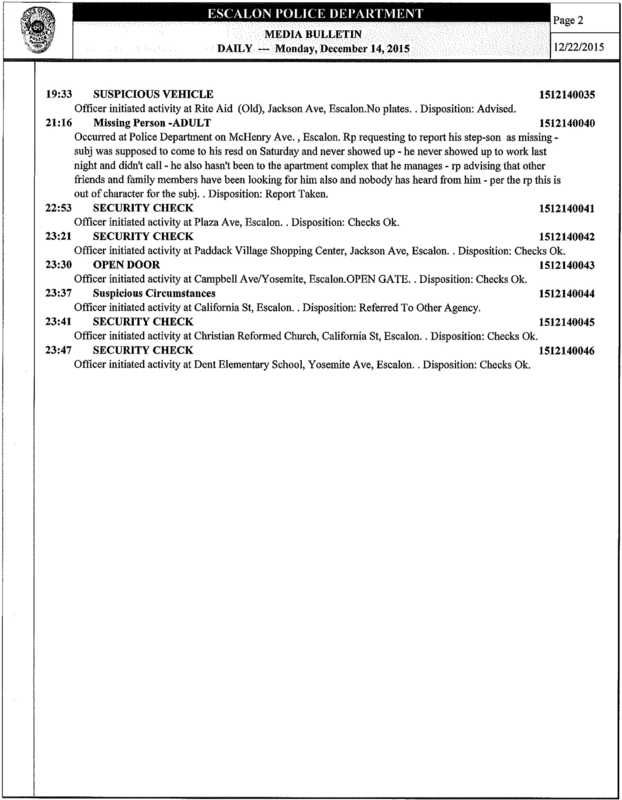 ESCALON POLICE LOG – DECEMBER 14, 2015 THROUGH DECEMBER 20, 2015. 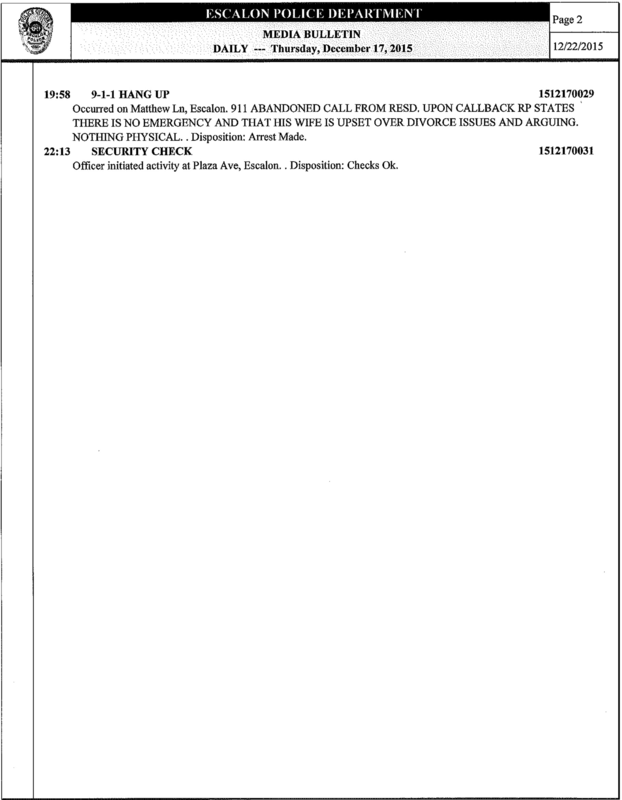 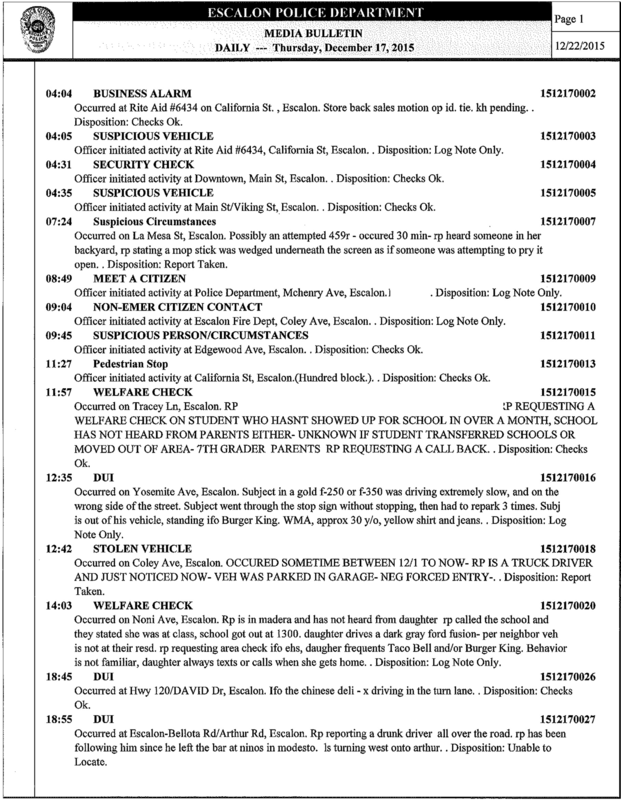 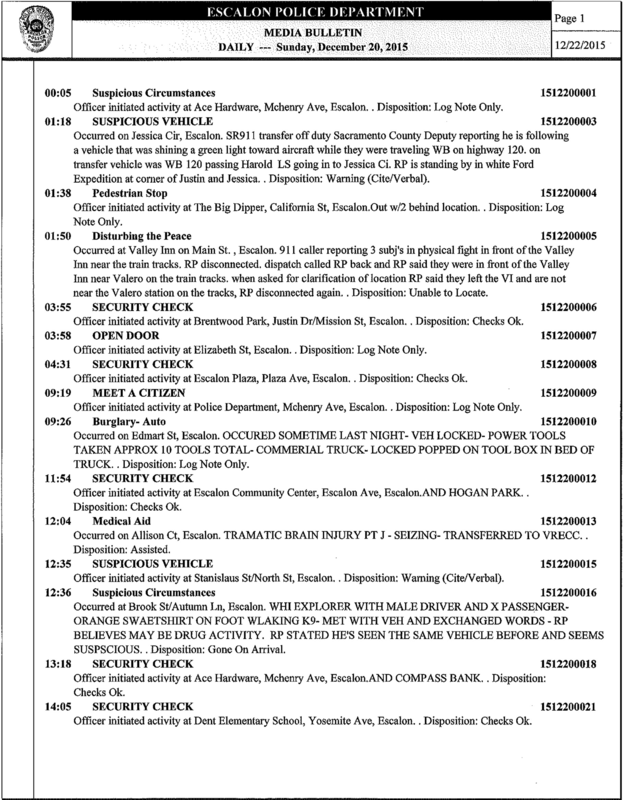 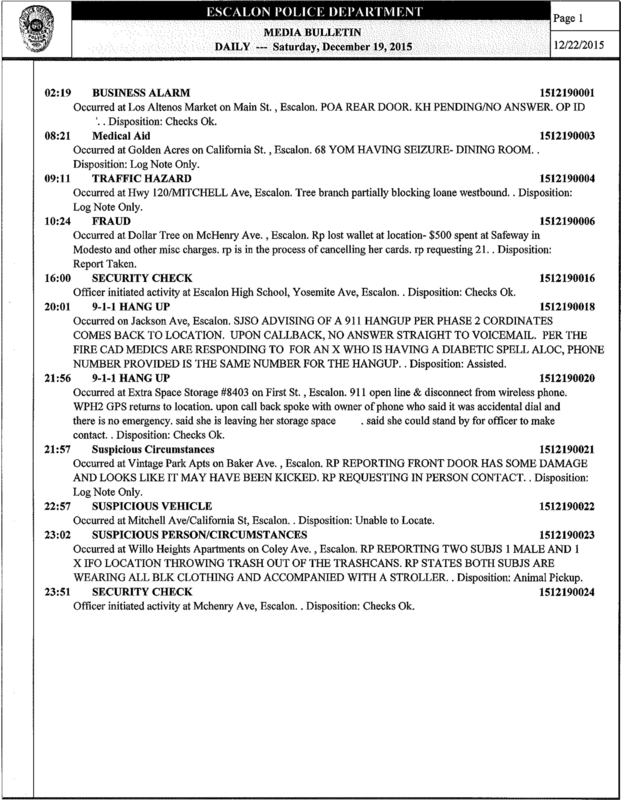 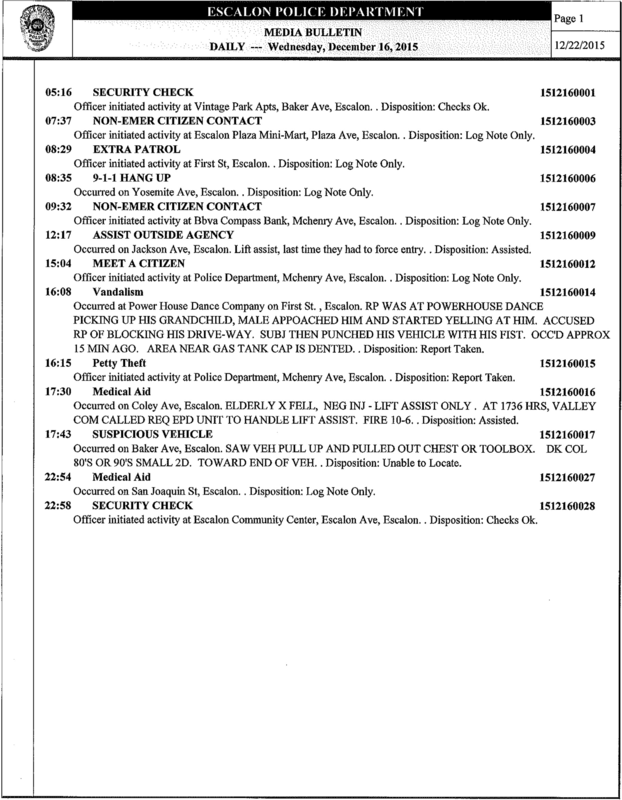 Previous Previous post: ESCALON POLICE LOG – DECEMBER 05, 2015 THROUGH DECEMBER 11, 2015. 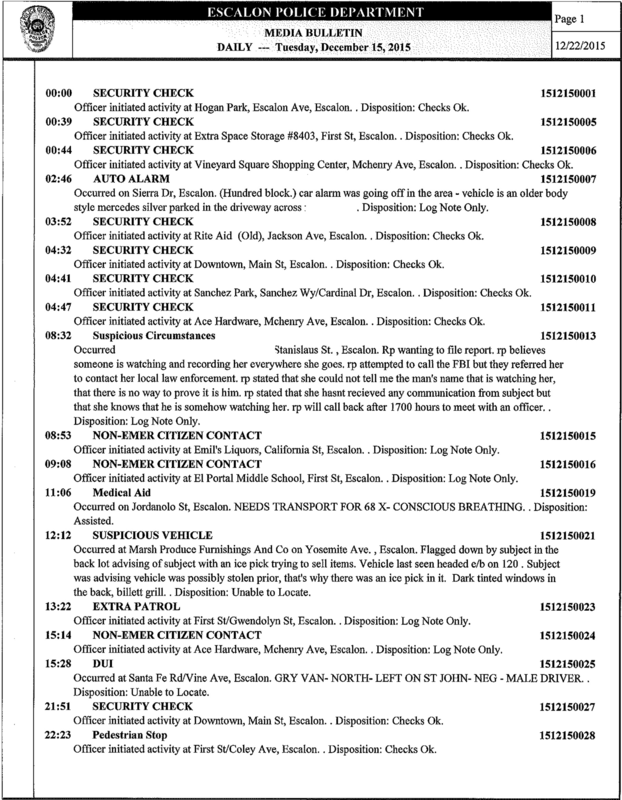 Next Next post: ESCALON POLICE LOG – DECEMBER 23, 2015 THROUGH DECEMBER 29, 2015. 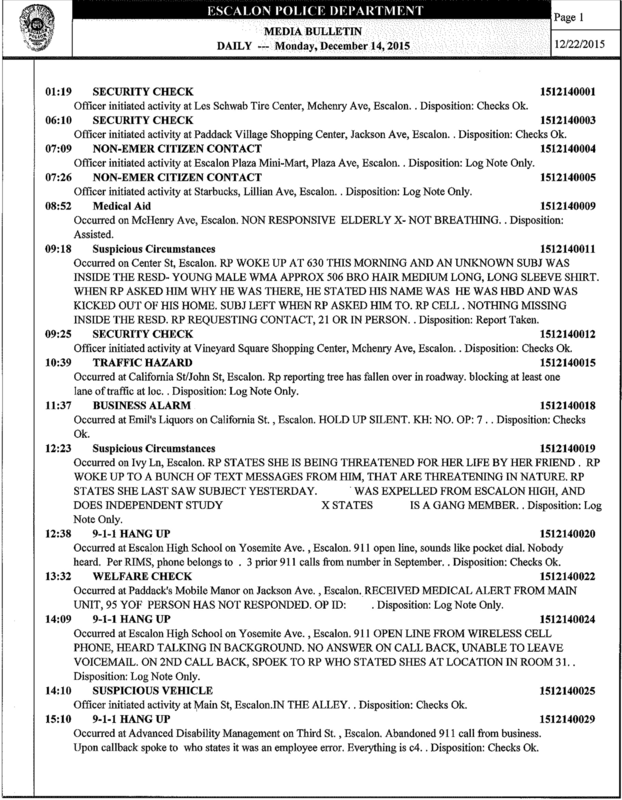 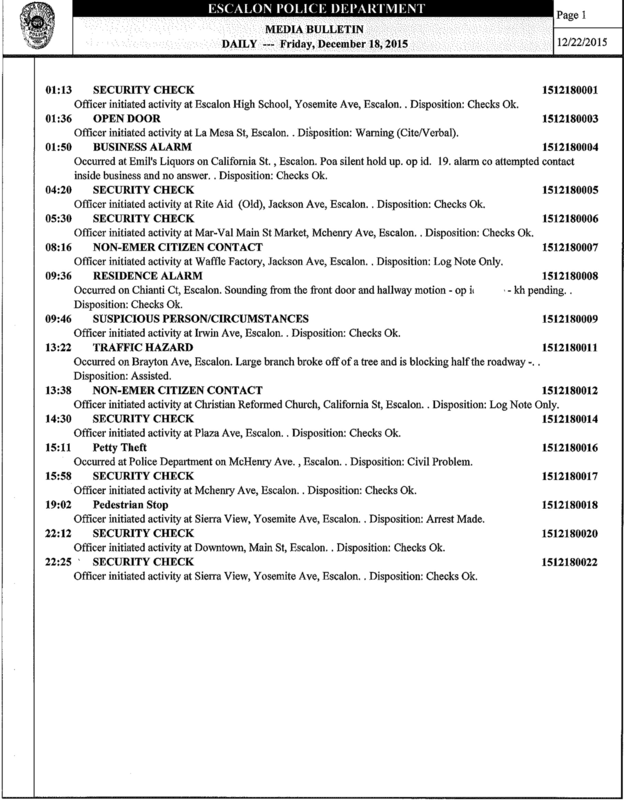 WeEscalon ESCALON POLICE LOG – DECEMBER 14, 2015 THROUGH DECEMBER 20, 2015.